In an economy where stocks and home prices are tanking, unemployment is rising and simply scratching up a few discretionary dollars is difficult, fishing lures and firearms might not seem like the best business to be in, but Joe Lasecki says his sporting-goods store near Wilkes-Barre is seeing record sales. 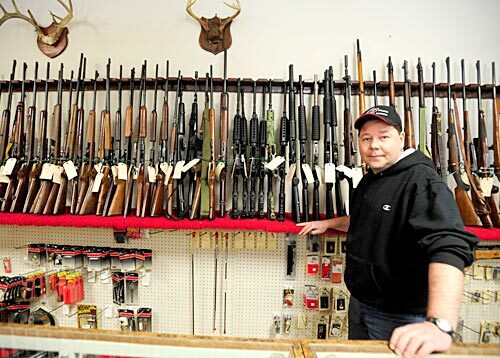 Compared to other years, business so far this year at Nimrod Haven Sporting Goods is “blowing it out of the water… across the board,” he says. There are other industries doing well in the recession, and though they may seem dissonant, they all offer a cheaper alternative or a better value. Companies that will likely see increases are deep discounters, such as Wal-Mart and McDonald’s, said Tony Liouzo, an economist at Wilkes University. “If you’re in the lower price range, no matter what it is you’re selling, you’re actually better off when the economy goes south. 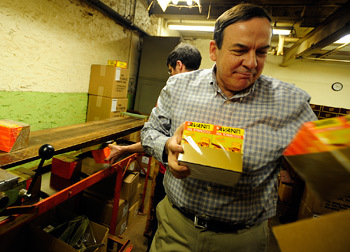 You actually go north,” he says, though he adds that if the recession continues, at some point, everything goes south. Also nearly recession-proof are vital industries such as healthcare and higher education, he says. “We’re actually in very good shape,” Liouzo says of the MBA program he oversees at Wilkes. “We’re seeing a lot of people who are midlevel professionals who are interested in honing their skills. Either they’re unemployed, or more likely, they’re worried” about losing their jobs. Scranton-based Avanti Cigar Co. has been riding a wave of increased sales since January, buoyed initially by its comparatively cheap price–some cigars are 45 cents apiece. But the increase in orders now is somewhat ominous, said company president Dominic Keating. The fishing side of Lasecki’s sporting-goods business is also doing well simply because the activity is a cheaper pastime for laid-off workers than going to movies or restaurants, he says. Joe Lasecki owner of Nimrod Haven. An assortment of handguns at Nimrod Haven. 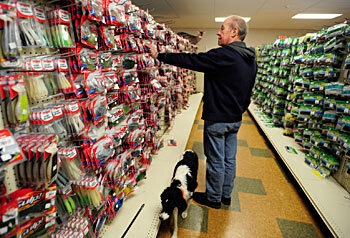 Joe Lasecki Sr. co- owner of Nimrod Haven straightens fishing lures. Avanti cigar owner Dominic Keating packages finished cigars. 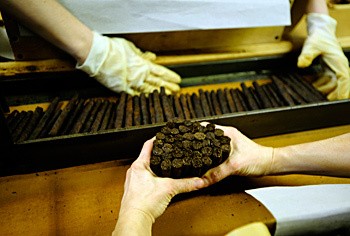 Cigars being cut and packed at Avanti cigar.